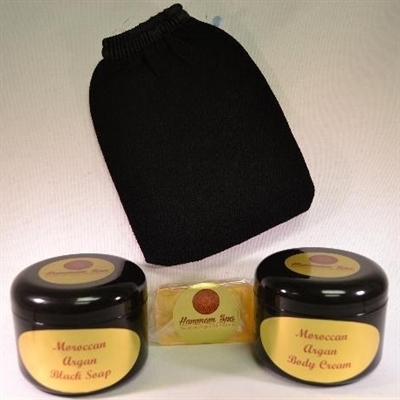 Moroccan Black Soap is a soothing skin treatment. It is rich in minerals helping clean and detoxify your skin while leaving an extraordinary smooth and silky finish. This nourishing lotion contains a synergistic blend of natural extracts and vitamins. The rich and creamy formulation helps prevent dry skin and protects the skin leaving it feeling soft, smooth, with a natural health appearance.